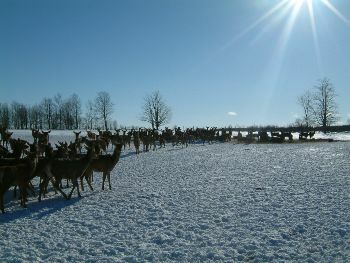 Our herd of Red Deer are born & raised on our family farm, in Dufferin County, surrounded in a peaceful, pastoral setting. Our natural approach to animal husbandry results in happy, healthy animals. Mating & fawning take place naturally, in the meadows, without intervention, following the natural cycles of the animals. Fawns stay with their mothers allowing for natural-rearing. They have freedom to roam outdoors, year-round, grazing on organic open pastures, seasonally. In winter they forage on hay grown on-farm using organic practices. We do not use any chemicals, drugs, genetically modified feeds or growth promoters. Our herd is monitored by the Canadian Food Inspection Agency for health status. 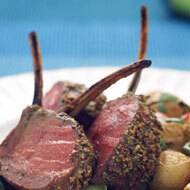 All our products are inspected by the Ontario Ministry of Agriculture & Food for food safety. Copyright © 2005 -2018 [DEER VALLEY FARM]. All rights reserved.